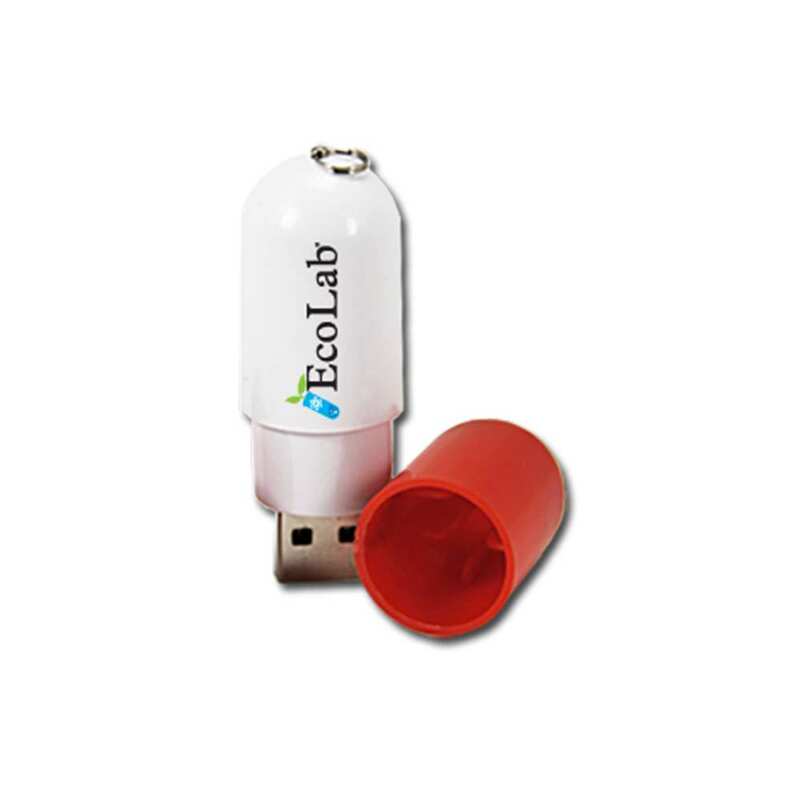 Looking for a clever way to promote your company? 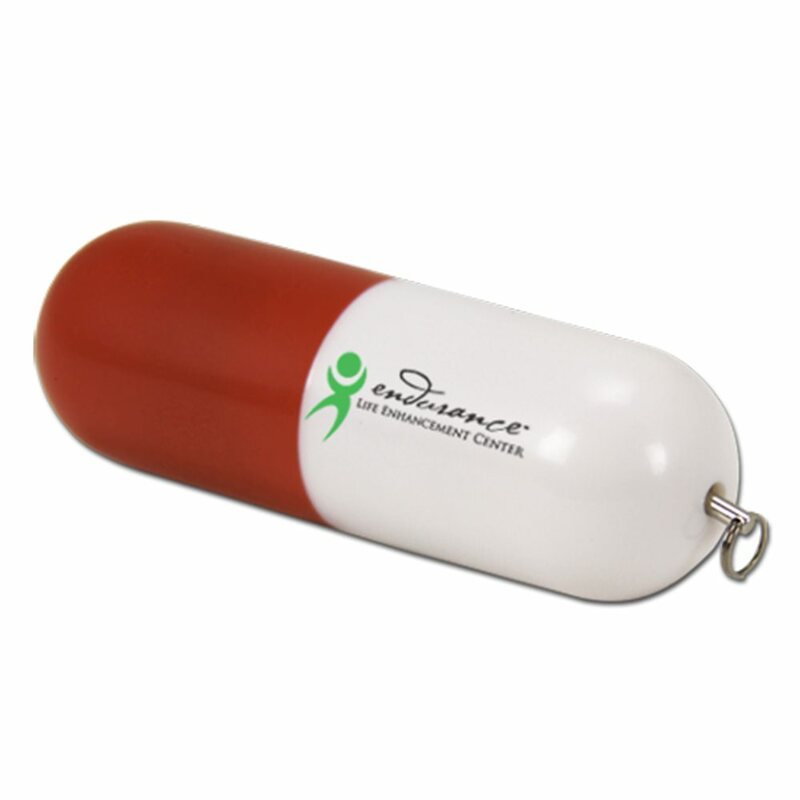 This pill-shaped custom USB drive is shaped like a cylindrical capsules with a dual-color red & white color scheme perfect to market to clients. 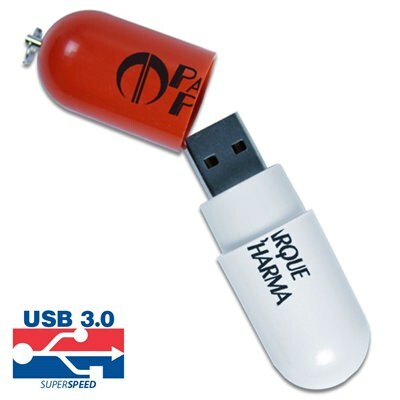 Remove the red cap and you'll find the USB connector that is ready to be plugged into the computer. There is plenty of space for your organization's name or logo to be silkscreen printed in full print color. Printing on both sides of the drive casing helps to ensure that your logo will always be visible. Each drive includes an LED indicator to show when the drive is in active use and a keyring loop on the red colored end of the case. 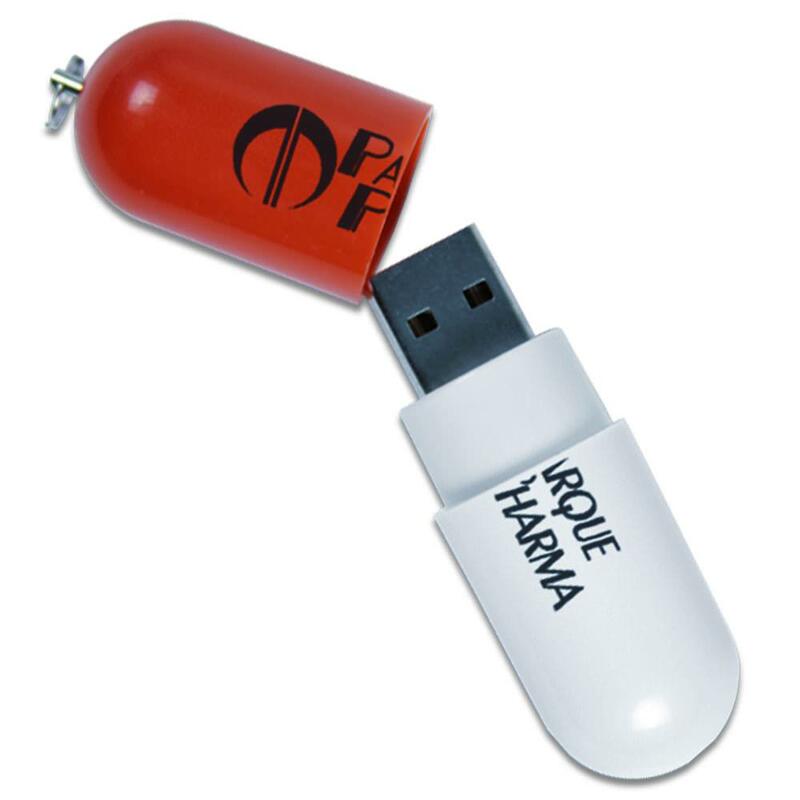 These Placebo pill-shaped USB drives are great promotions for doctors, healthcare providers, pharmacies, clinics, pharmaceutical companies or medicinal sales representatives. 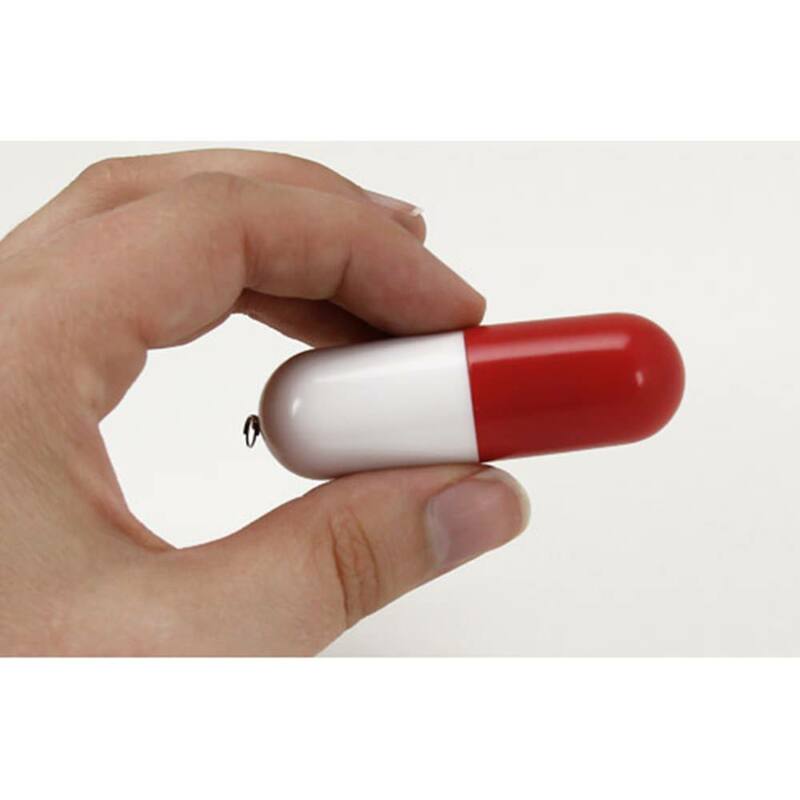 Nobody will complain about taking this medicine from your office!